This was both an amazing and absolutely terrible idea. I’ve had Serious Eats The Best Chocolate Chip Cookie recipe saved on my Pinterest for literally about 3 years. 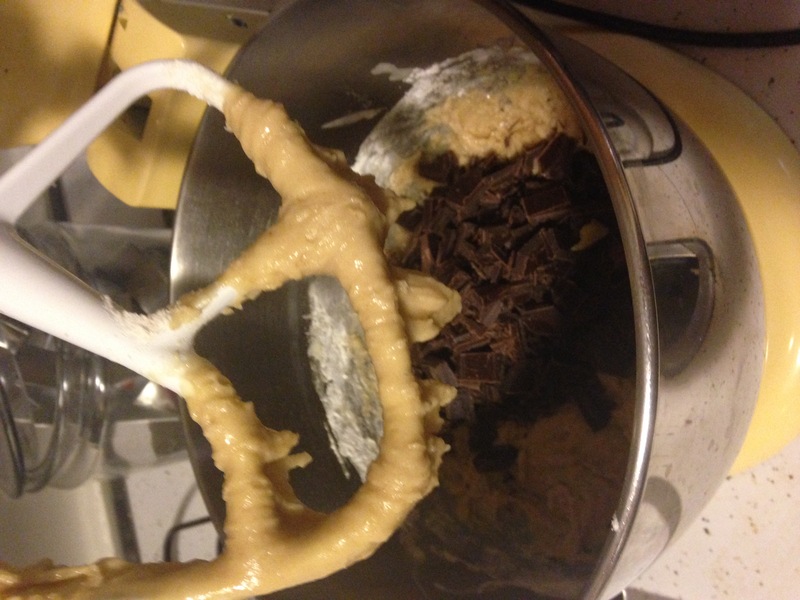 In that recipe, Kenji, who runs the food lab (a science person’s dream baking blog) painstakingly adjusts every ingredient in chocolate chip cookies until he arrives at his ideal. And I finally gave it a try. Now, if you follow me on Instagram (which you should), you would know that I declared the cookie dough the best that I’ve ever tasted. 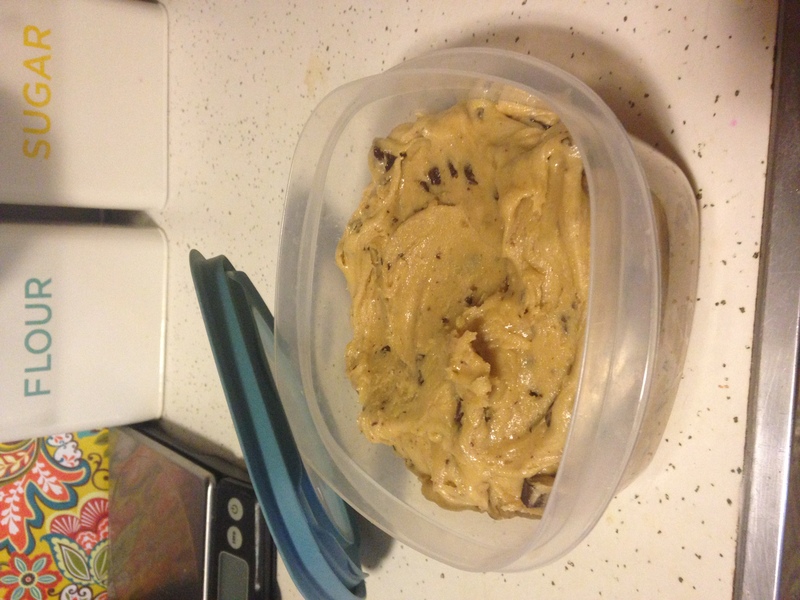 I consider myself somewhat of an expert, as the Scoop o’ Dough (a dixie cup filled with cookie dough) was a staple of my college diet. The dough pales in comparison to the cookie itself. Regardless, you should make these. Because I feel awful that I can’t share them with literally everyone I know. I apologize. I hope that you’ll take my step-by-step instructions as the next best thing to me making them for you personally. At least one day before you plan on baking them, you have to prepare the dough. 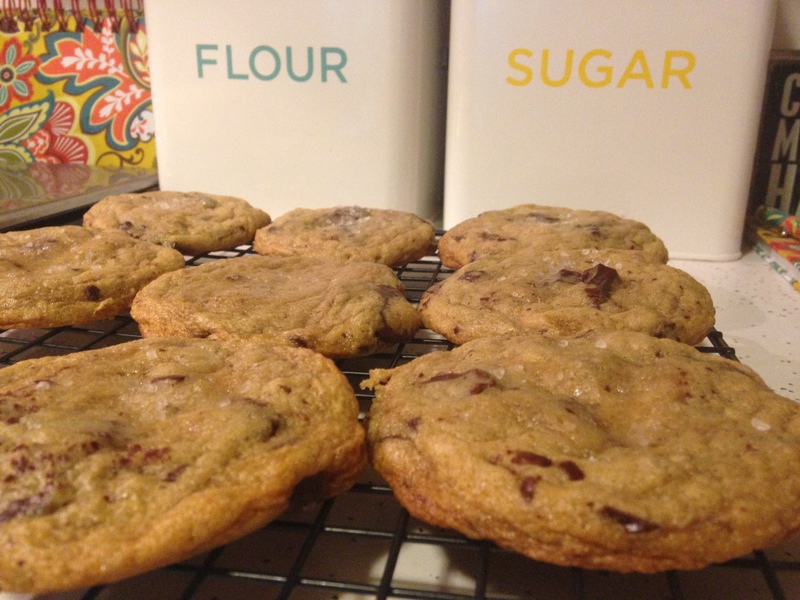 This is a step I never knew of to better a cookie recipe – I’m more of an instant gratification type with sweets. But you should have time to chill the dough at least overnight and up to three days. 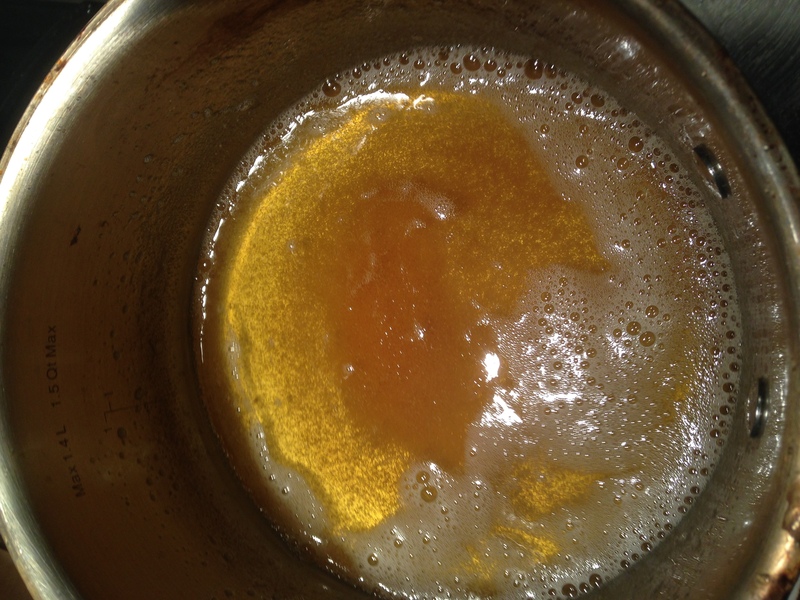 First, melt the butter in a medium saucepan over medium-high heat, swirling the entire time. Continue to cook for about 5 minutes until golden brown particles appear. Then, remove from heat and continue swirling for another 15 seconds. Browning butter is a baking skill I still feel only 20% confident in. But by swirling the whole time rather than stirring with a spoon, I think it did eliminate a little of the more difficult parts where things burn and such. Either way, after this step the rest is cake. 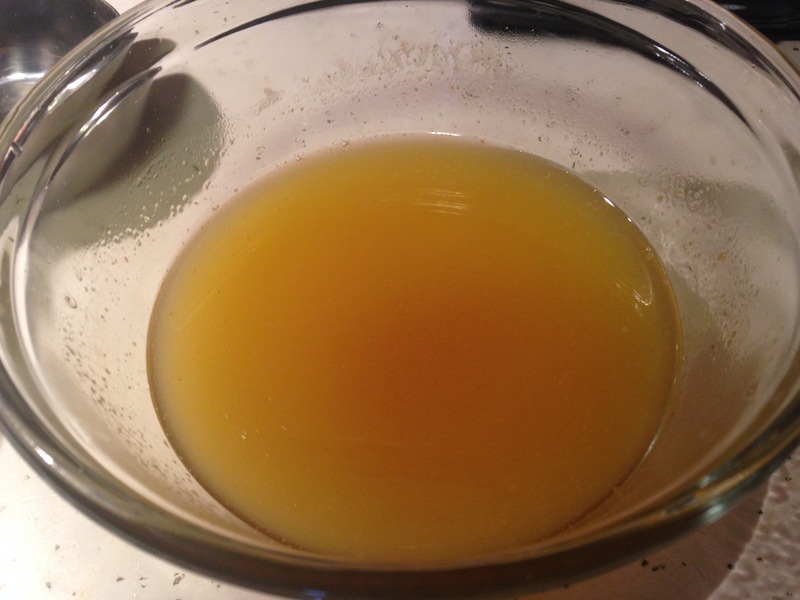 Immediately transfer the browned butter to a medium bowl and whisk in an ice cube. 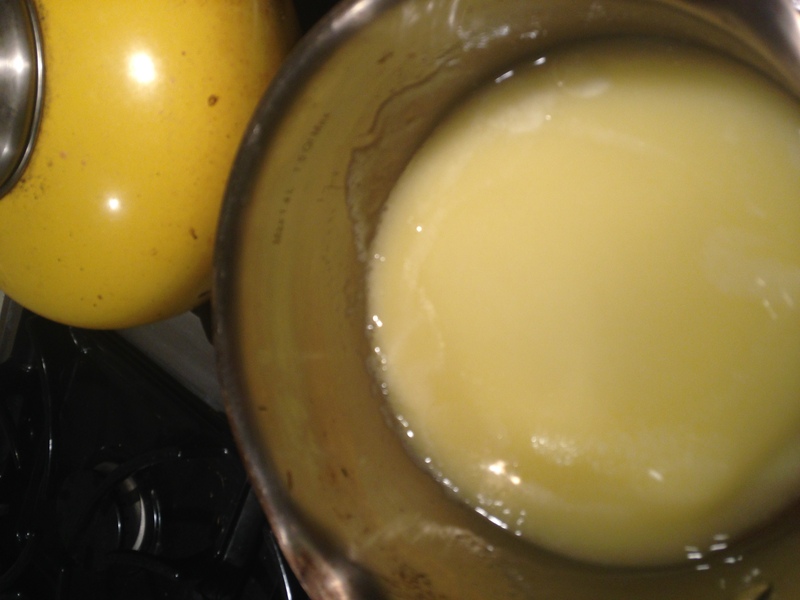 Put the butter in the fridge to chill for 20 minutes, whisking every 5 minutes or so. It’s ready to use when it begins to turn opaque again. While you’re waiting for the butter to chill, you can get everything else going. 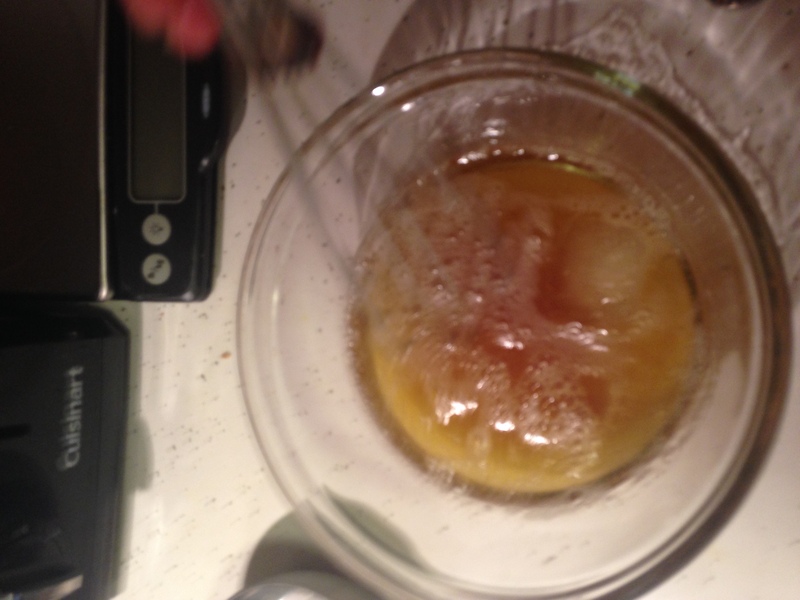 This is a kitchen scale kind of recipe, it being Food Lab and all, so my measurements will be in ounces. It really is a way more efficient way to bake since you don’t need to be using measuring cups and such, which also saves time on clean up. Ok, that’s the end of my plug for kitchen scales. If I haven’t convinced you by now, I never will. 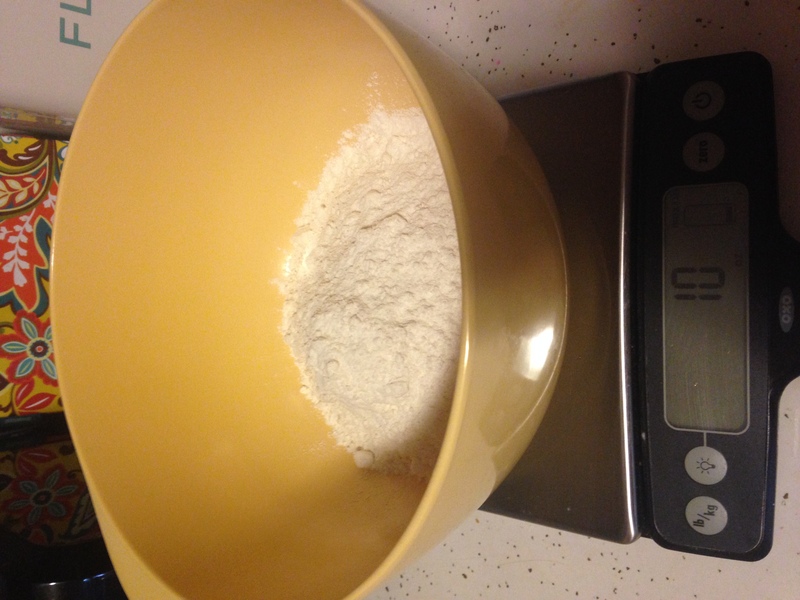 Measure the flour into a medium bowl. Then, whisk in the baking soda and salt. Set aside. 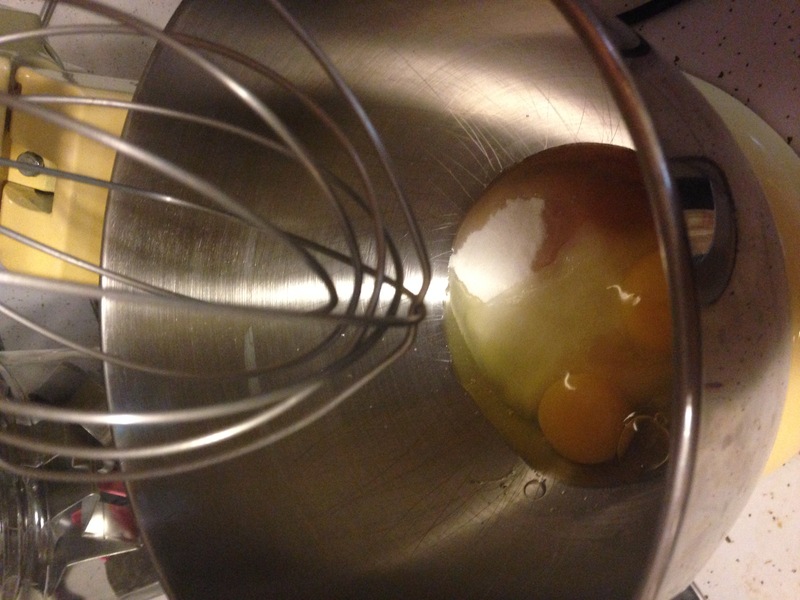 Combine the granulated sugar, eggs, and vanilla extract in the bowl of a stand mixer fitted with the whisk. 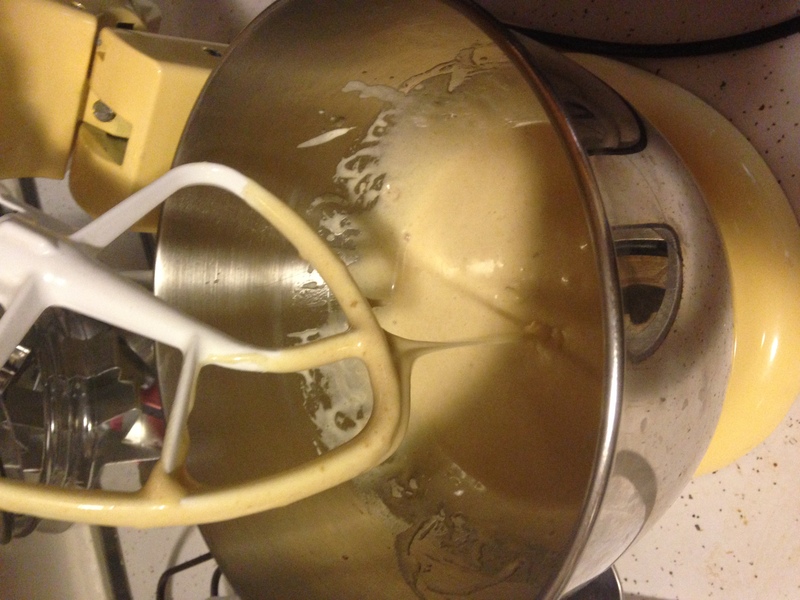 Whisk on medium high speed for 5 minutes, or until it is pale yellow and falls off the whisk thickly. Add the brown sugar and cooled browned butter and switch the whisk for the paddle. Mix on medium speed just to combine. Add the flour mixture and mix on low again just to combine, with flour still visible. Add the chopped chocolate and mix on low just until the dough comes together. Transfer the dough to an airtight container and refrigerate either overnight or up to three days. Make sure you taste it first. It will prove to you that this is a worthwhile undertaking. When you’re ready to bake, line baking sheets with parchment paper and preheat the oven to 325°F. 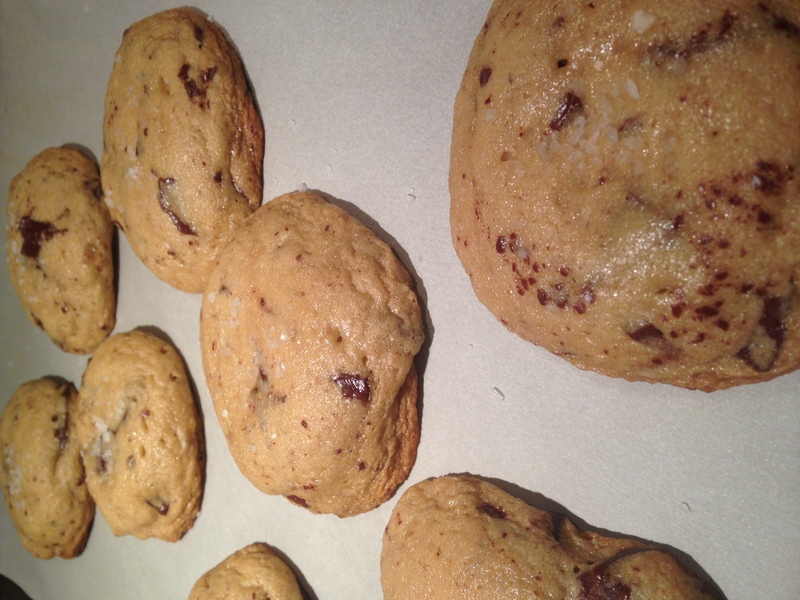 These are big cookies, so you want three tablespoons of dough per cookie in a ball. I actually measured it out for the first one and then just tried to match it with the rest. If you’re using a big cookie sheet you’ll get eight cookies on it, but a smaller one will only have six. Remember, they spread! Bake at 325°F for 13 to 16 minutes. Halfway through, rotate the pan from top to bottom and back to front to ensure even cooking. They’re done when the edges are golden and the middle is still soft. They don’t look it, but go with it. Remove from the oven and sprinkle with sea salt, pressing it down to make sure it stays put. 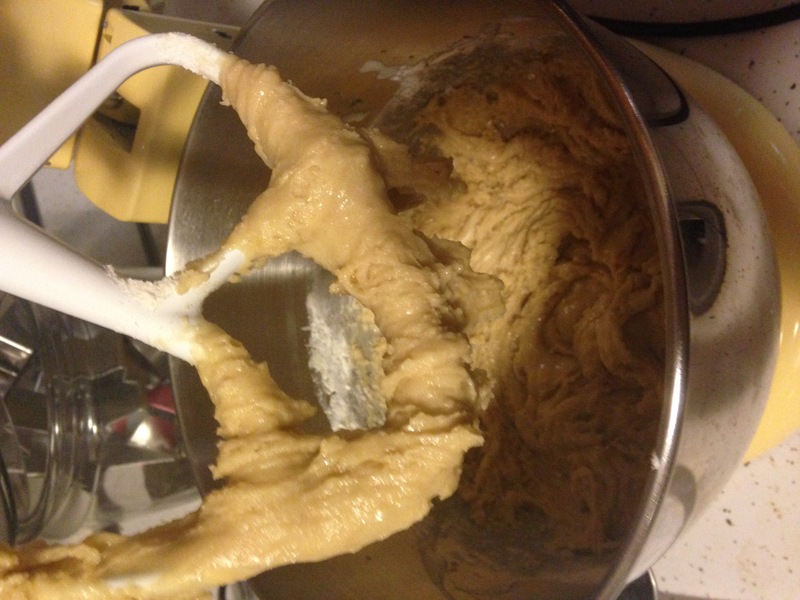 Allow to cool on the cookie sheet for two minutes before transferring the cookies to a wire rack to cool completely. They will de-puff and look more cookie-like, don’t worry. Store them at room temperature in an airtight container for 5 days, if they last that long. And on a more sentimental note, this post has been a really wonderful de-stressing break on an otherwise excessively stressful Sunday, so I hope it serves that purpose in your lives as well! 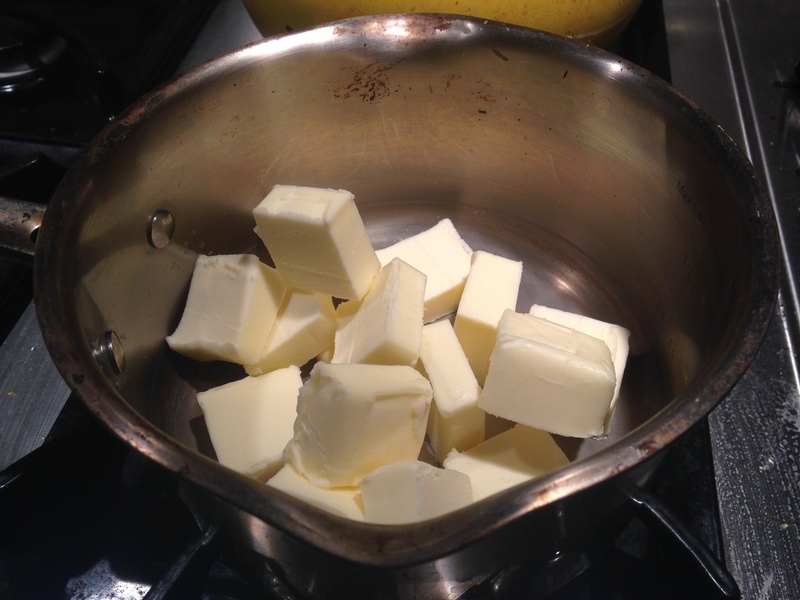 Melt the butter in a medium saucepan over medium high heat. Continue to cook, swirling constantly, for about 5 minutes until golden brown particles appear. Remove from heat and swirl an additional 15 seconds. 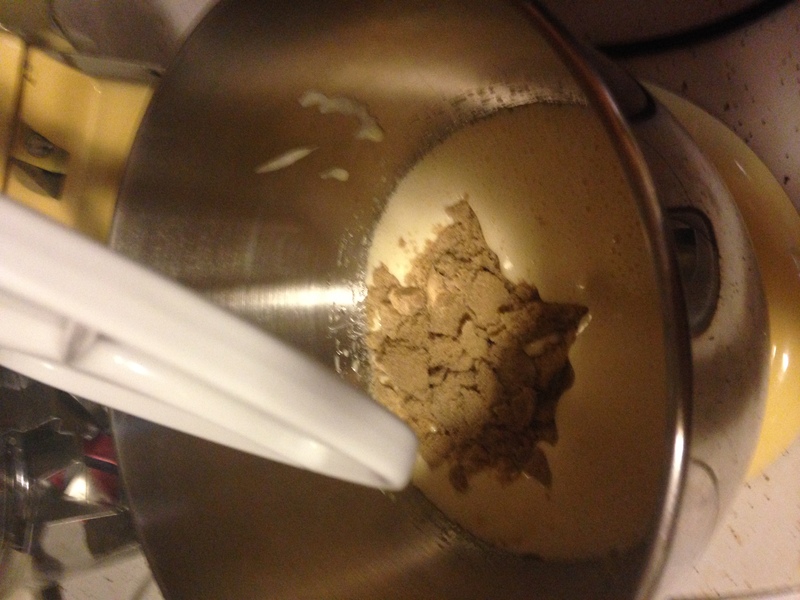 Transfer browned butter into a medium bowl and whisk in an ice cube. Put bowl in refrigerator to chill for 20 minutes, whisking every 5 minutes or so. 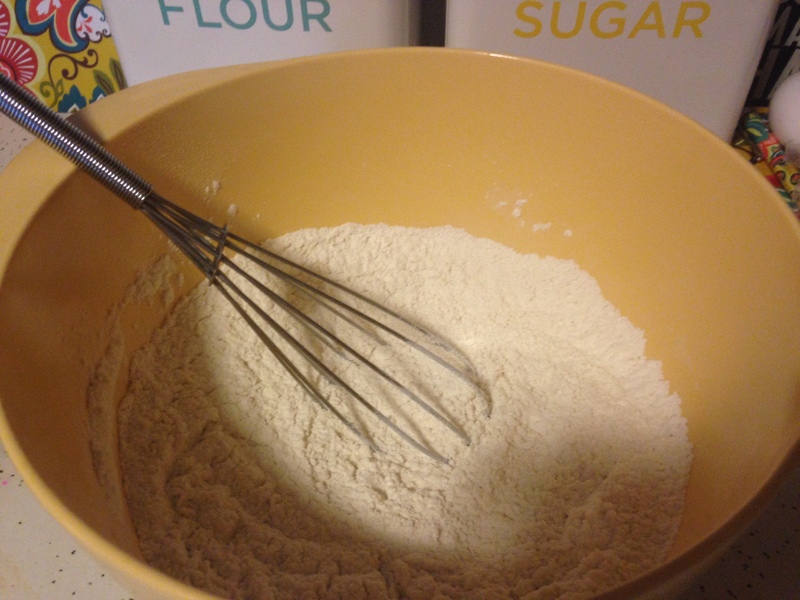 In the bowl of a stand mixer, combine granulated sugar, eggs, and vanilla extract. 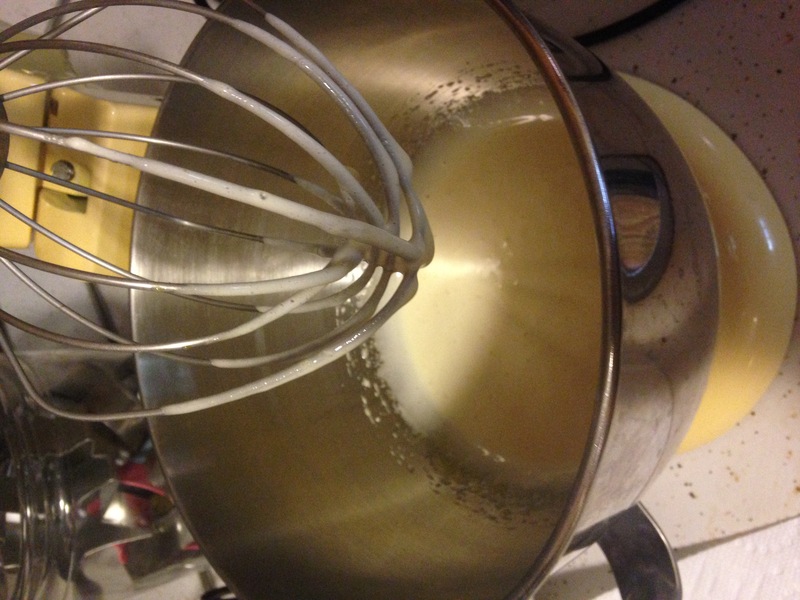 Use whisk attachment at medium high speed for about 5 minutes until thickly falls off whisk and pale yellow in color. Add the chilled brown butter and brown sugar. Use paddle attachment to mix on medium speed until combined. Add the flour mixture. 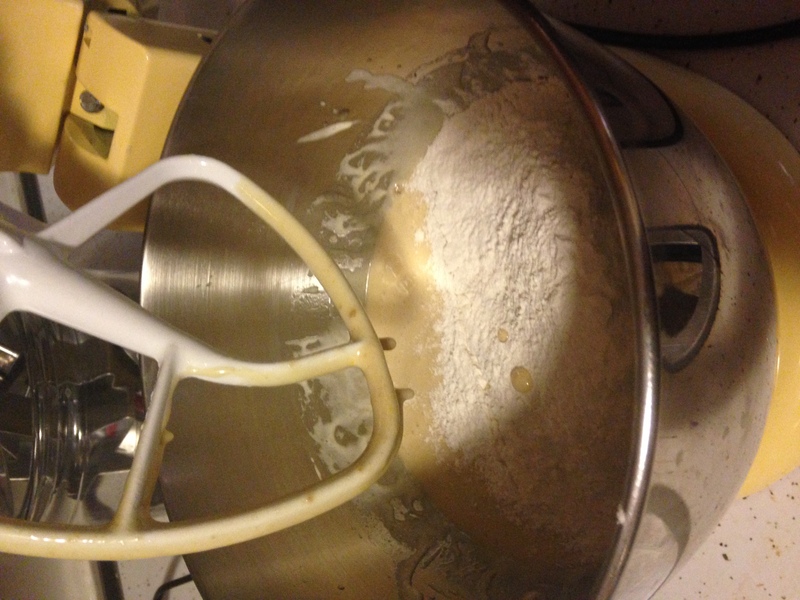 Mix on low speed until just combined and some flour remains dry. 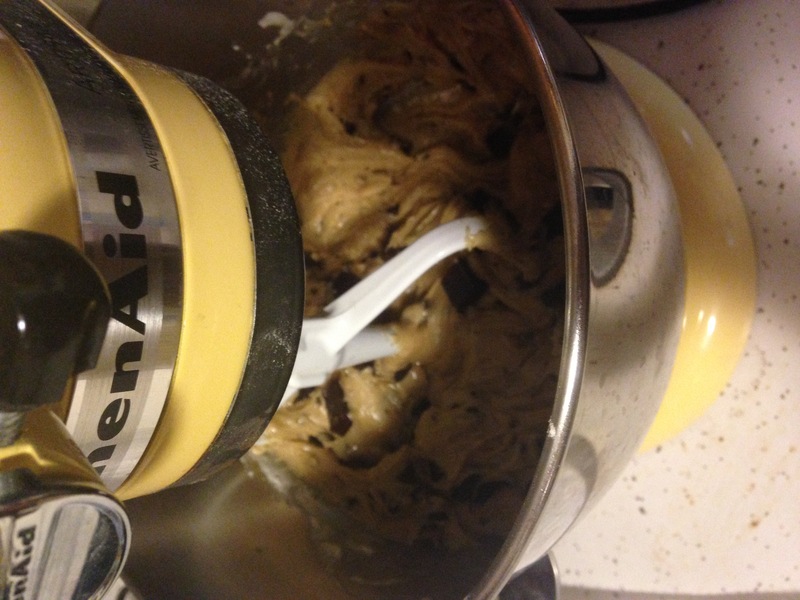 Add chopped chocolate and mix on low speed until dough begins to come together. Transfer to an airtight container to chill in the refrigerator overnight or up to 3 days. When ready to bake, line baking sheets with parchment paper and preheat oven to 325°F. 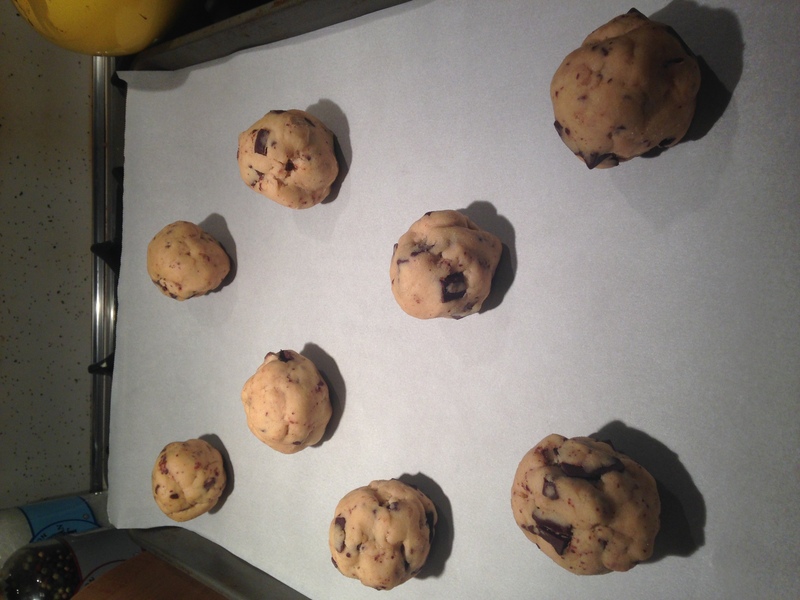 Roll 3 tablespoons of dough into a ball and place on cookie sheet, fitting between 6 and 8 on a sheet depending on size. Bake at 325°F for 13 to 16 minutes, rotating pan from bottom to top and front to back halfway through. Remove from oven when edges are golden and middle is still soft. Sprinkle with sea salt and press in. Allow to cool for 2 minutes on pan before transferring to a wire rack to cool completely.